Karl Stodden provided us with this photo of a sturgeon he caught and immediately released in the Big Sioux River, just north of Akron, Iowa. “I caught this little guy in the Big Sioux River, just north of Akron, Iowa. He was released right after the picture was taken. Don’t know if this helps at all, but no one has seen a sturgeon caught that far north in the Big Sioux in a while from what I have been told.” – Karl via email on May 30, 2016. Karl Stodden, 2016 with the sturgeon he caught and released in the Big Sioux River. 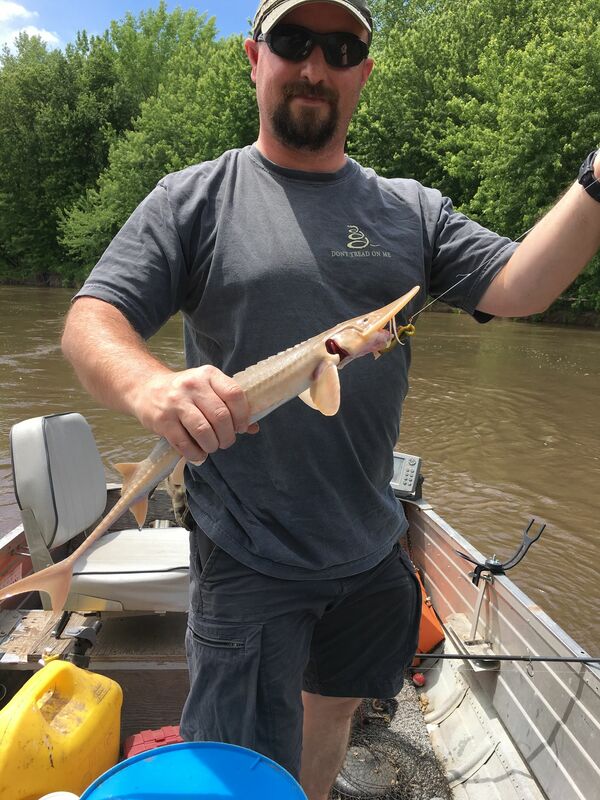 Increasing public awareness of the plight of the Pallid Sturgeon and the willingness of people like Karl to communicate with the Pallid Sturgeon Working Group with information is vital to helping the survival of this species.